Pawn or Sell: What is the best option for you? Second, a pawnbroker also offers you the opportunity to sell anything valuable outright. With the consistent downturn of the economy, more individuals are discovering the advantages of using the services rendered by a pawnbroker to come through the tough times. However, many novices are not aware of the difference between securing a pawn loan and selling. When you decide to pawn your asset with a pawnbroker, you are using the item as collateral for your pawn loan. As with any collateral loan, the pawnbroker will hold your asset until you repay the original loan amount along with the due interest. Whether the item you pawned is a family heirloom or something with sentimental value, you can reclaim your asset once you pay off the loan. On the contrary, when selling an item to a pawnbroker, you bring in your asset to sell and leave with money in hand outright, losing your ownership. While you agree on the amount that the pawnbroker is willing to offer when buying your asset, you walk out without having any further obligation to the buyer. When you own a Rolex watch or anything valuable like gold, it is likely that their value will increase with time or age. Although you may acquire less value when pawning an item compared to selling, you retain the right to retrieve your asset whenever you want or after your loan term expires, by paying off the loan. You can use your asset as collateral to obtain another pawn loan in future when you need to raise quick money. Pawning and selling a luxury item can help you to get immediate access to cash, while one of the significant advantages of selling is that you may secure a higher value in comparison to pawning. Thus, when you require enough money and do not mind to part with your asset, it may be more convenient for you only to sell. While you do not have to worry about repaying any loan interest or other charges (if any) you owe when selling, you may get the money you need on the spot by selling something that you no longer need. Should You Pawn or Sell Your Asset? 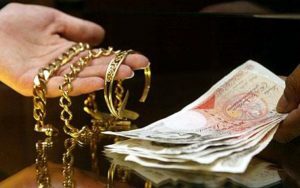 As already mentioned, in short-term financial emergencies, both pawning and selling a luxury item can help in turning up fast cash without any hassle. But, an individual ultimately has to decide on its own what option is best for him/her when it comes to pawning versus selling. While you may feel it is better to sell your asset outright and avoid any charges or interest associated with a pawn loan, others may not wish to part with their valuables. If you have a luxury asset that is moderately damaged and may not reap benefits in the long run, you can choose to sell turning your unwanted item into cash. Conversely, when you own an asset whose value may enhance with time, pawning can indeed be the best option. Whatever option you decide to choose from, it is always essential to get in touch with a trustworthy pawnbroker in London or other big cities to have a hassle-free experience. Next PostNext Should I Sell My Jewellery to a Pawnbroker? 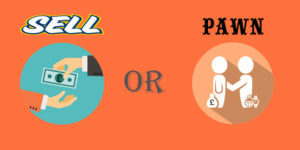 How Can I Get A Loan From Pawnbrokers Near Me? Should I opt for a pawn loan to travel from pawnbrokers near me? © Copyright 2018 Pawnshop London.